Last week the General Local Plan called “Tirana 2030” (Tr030), designed by the architect Stefano Boeri together with UNLAB and IND (winners of an international competitionin 2015), has been approved. It is an ambitious and major project that, a hundred years from the General Local Plan designed by Italian designers led by Armando Brasini, opens a new stage in the future of the Albanian capital. 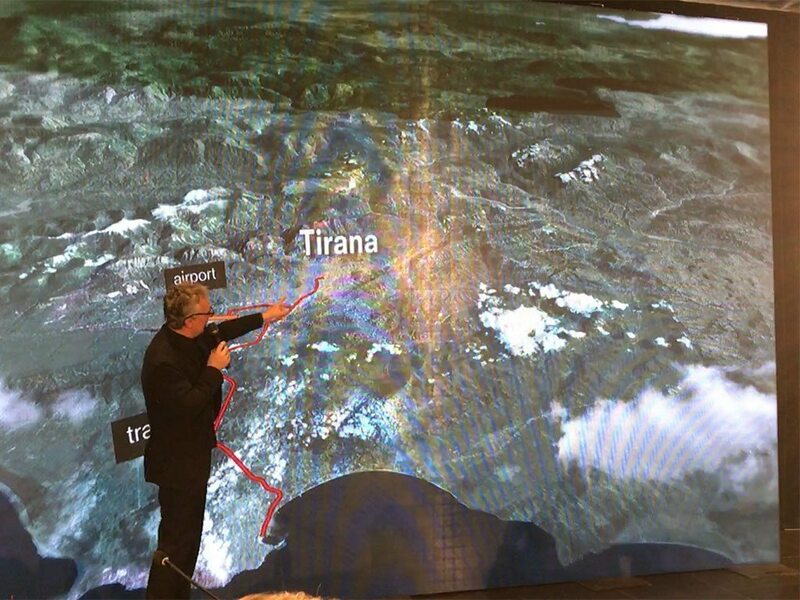 The new General Local Plan, strongly wanted by Edi Rama’ s government (he is the previous Mayor of Tirana) and by the current Mayor Erion Veliaj’s administration, includes the entire metropolitan area of ​​Tirana and also takes into consideration rail links with the airport and the port of Durazzo, green areas and green corridors, public transportation, new areas of controlled development and the enhancement of the architectural heritage of the city. 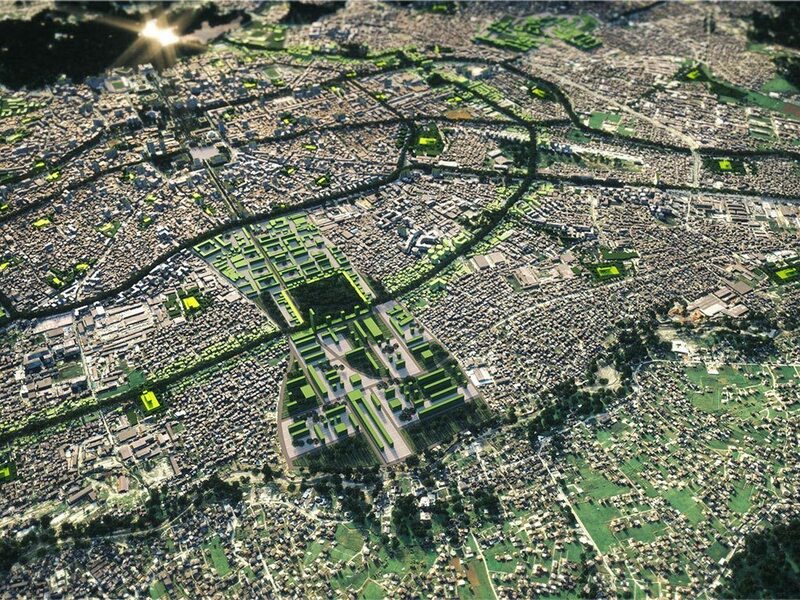 Stefano Boeri ‘s General Local Plan proposes as an “Orbital Forest” of 2 million trees as a green belt able to limit the city expansion beyond its current boundaries Tirana will grow in intensity along its historical paths ((Boulevard Dëshmorët e Kombit, the second and the fourth ring, Tirana-Durazzo axis and the 5 development areas) without natural or agricultural soil consumption, but rather multiplying green areas, facilities and public spaces. Thanks to the creation of two green rings inside the central area, suitable for cycling and walking, of a big natural oasis around the lake Farka and green corridors along the rivers, green surfaces in the city will triplicate. The realization of 20 new public schools, together with the new World Square that gives a northwards end to the Boulevard Dëshmorët e Kombit, will allow to develop a net of new urban squares featured with cultural activities and facilities for the citizen. Boeri’s project also redefines urban mobility – introducing a congestion charge in central areas, promoting car sharing, favoring a “bus dedicated lines” system – and extra-urban mobility with fast connections between the Boulevard and the airport, promoting also an improvement of links with outer towns. The General Local Plan redefines, both inside the historic city and in the suburban and rural areas, new epicentres of urban, economic and social development of the new Tirana, polycentric metropolis. A green corridor, where energy production will be encouraged through the application of renewable resources, will contribute to feed the city and its growth. In comparison with the current plan, the recently approved General Local Plan has reduced by two thirds the previsions of demographic development in the metropolitan area and has reshaped a green metropolis, accessible to everyone, a kaleidoscopic metropolis that will encourage plurality of the established functions and the mix of activities. At the end of January 2017, TR030 General Local Plan will be presented to the National Council for its final approval. Project Team: Stefano Boeri Architetti, UNLAB e IND, Municipality of Tirana. Stefano Boeri Architetti: Stefano Boeri con Francesca Cesa Bianchi, Corrado Longa, Laura Di Donfrancesco, Hana Narvaez e Jacopo Abbate, Jona Arcaxhiu, Orjana Balla, Rudina Belba, Michele Brunello,Tracy Decolly, Ani Marku, Era Merkuri, Martina Mitrovic, Jona Os, Elian Stefa. Agronomy: DISAA Dipartimento di Scienze Agrarie e Ambientali-Produzione, Territorio, Agroenergia-Università degli Studi di Milano.